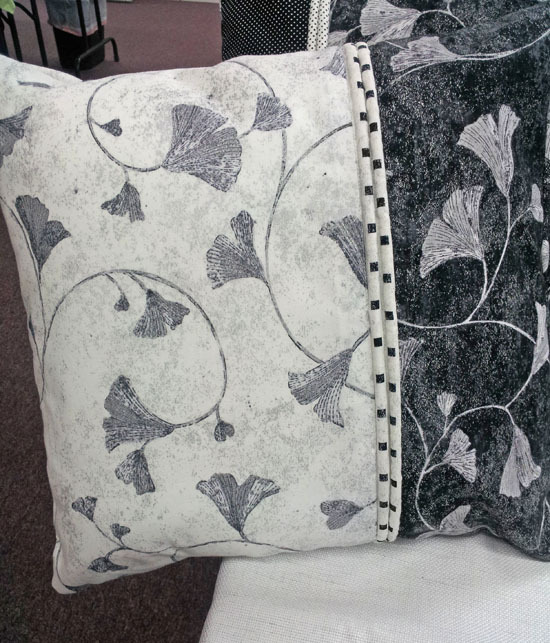 The idea for this project came with working on the pillow samples for the May Virtual BERNINA Club webinar. The “in” thing is having a bed runner on your bed. Since it is summertime here in New Mexico I didn’t want a heavy bedspread under my runner. So I went out to get a king size sheet…and couldn’t find one! However, I did came across some tablecloths I liked. 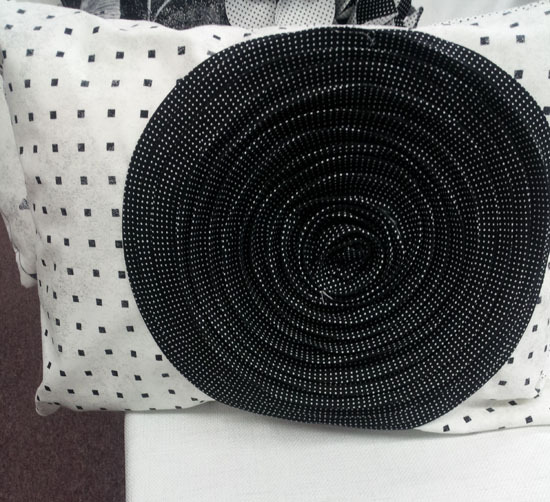 (This would also be a great project for upcycled sheets or tablecloths.) So I purchased three — 60″ x 80″ each — and sewed them together to create my bedspread. This was quick and simple and I like the result. 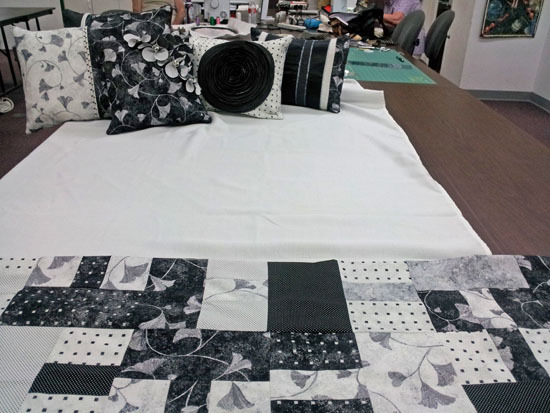 I set up a dummy bed at the BERNINA store I teach, to have as a display for the upcoming Virtual BERNINA Club. Now that it’s over I can bring home the pillows and bed runner and set up everything on my bed in the master bedroom. It’s nice to have them at home! 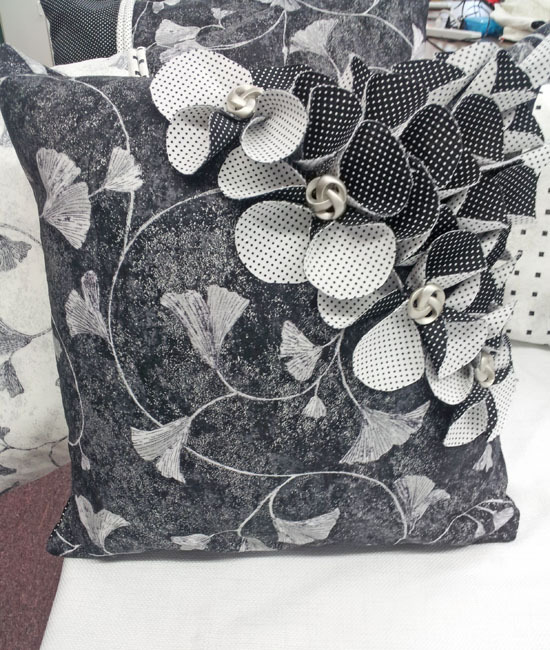 This is beautiful – I just love the fabrics!